Dhaka, 5 August, Abnews: Police in a drive arrested a female school teacher from Dewakhali village in Kalapara upazila for ‘spreading rumours’ on Sunday morning. She was identified as Nusrat Jahan Sonia, wife of Anwar Hossain Babu of the village in the upazila. Patuakhali Additional Police Supper Md Mahfuzur Rahman said police arrested the teacher from the school at around 11:30 am. A case was filed with Kalapara Police Station against her under Information Technology Act 57 section. 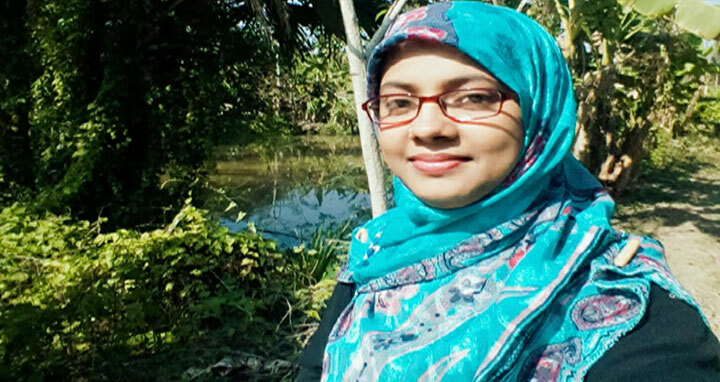 Later, she was produced before the upazila senior judicial magistrate court where the judge awarded her two days remand as police asked for seven days remand, the official added.